If your car or van is three years or older, you are required by law to have an MoT Test. The purpose of the MoT test is to ensure the vehicle meets the minimum safety level required by law in order to be road worthy. An MoT test can completed up to one month before the expiry of your MoT. Our qualified technicians will conduct an MoT inspection and a comprehensive series of checks on your vehicle, including the interior, exterior, under the bonnet and under the vehicle. Once the inspection is complete, the result is recorded and if the vehicle passes the test, a pass certificate is issued. However, if the vehicle fails, a failure document is issued. 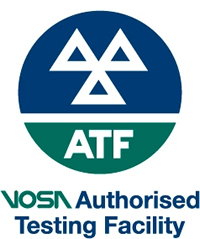 There are penalties for not having an up to date MoT certificate and this includes a fine. Therefore, it is your responsibility to make sure that your vehicle is having regular MoT tests and these are recorded on your documents. In addition to this, should your vehicle be involved in an accident; you may be asked to produce your MoT certificate. A claim on your insurance could be affected by the absence of your MoT, especially in the case of an injured driver or passenger.